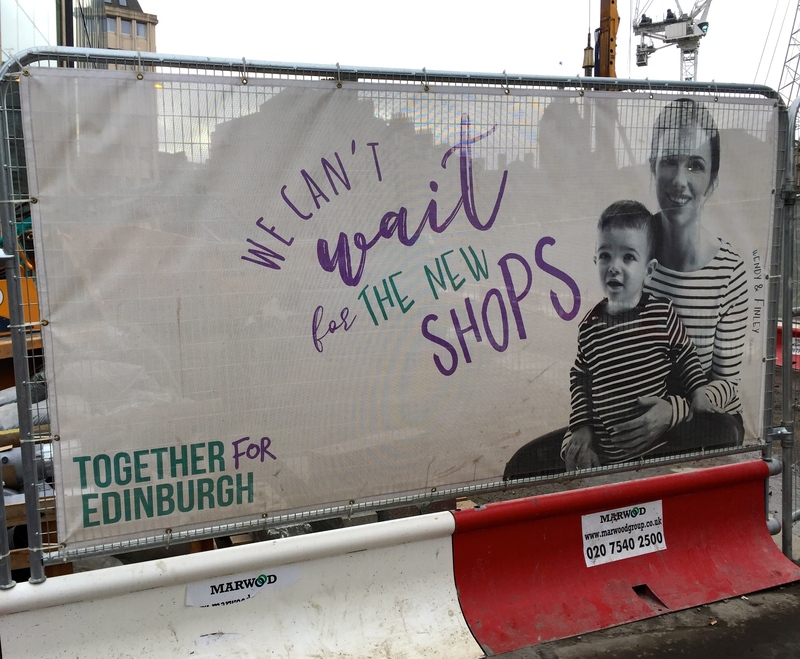 City centre regeneration: promise or threat? Who gains most? Home / Housing / Regeneration: promise or threat to city vitality? Regeneration: promise or threat to city vitality? Regeneration. What does it mean? A threat or a promise? Who’s it for? Who benefits most from the redevelopment of city centres, the transformation of community assets into commercial investments? Our thanks to Genghis the Gardener (a former citizen of Edinburgh now living in London) for sending his poem Such a Parcel of Rogues in a Council. Written for Haringey on Burns Night, it expresses emotions sorely felt in cities across Britain. To oppose what is happening to our cities, in other words, involves challenging the whole pattern of economic power in our society, along with the prevailing model of short-term casino capitalism that drives the urban property market. It’s complicated, of course. As we recorded last year, wasn’t it Edinburgh City Council that commissioned Christine De Luca, then Makar, to write her fine poem A Drama in Time for their forward planning Edinburgh 2050 City Vision? The City Planning Department had requested it as a result of their online conversation with citizens. The poet responded with a title inspired by the visionary Patrick Geddes (1854-1932) and his views on urban planning [see the full poem here]. an interplay of hopes and dreams and possibilities. but good homes, good health built-in for everyone. where decision-makers are incorruptible and honest. How often are citizens actively included in the decision-making? For Haringey, read those parts of Edinburgh, Glasgow, Dundee and every other vibrant city that attracts the developers’ eye. And ask, as Joyce McMillan, bodies like the Cockburn Association, Academy of Urbanism, and many others are asking with increasing urgency: how can people reclaim the city landscape? Meanwhile, StopHDV a campaign group of local residents and small business owners, is asking questions, demanding answers and fighting the development plans – in prose and poetry. to the owner, value for your house. town centres open round the clock. or they’ll catch you out. Such a parcel of rogues in a Council. for the multi-national and Council falange. for public relations of reptilian kind. if you’re a stallholder in the way of their pile. and bring in high earners, craft shops for the lot of ‘em. and who are determined to stop this HDV. We are for community and homes not this profit mill. it’s time to re-think where your destiny looms.